Four different crowdfunding models exist today. The crowdfunding concept emerged originally from donation based crowdfunding, where people can donate without receiving anything in return. This typically applies to charity causes of different kinds. The second model that came into existence was reward based crowdfunding, such as Indiegogo and Kickstarter, where companies collect small contributions from people to develop a product or a service. Backers will donate to projects that they believe in and will help the companies to emerge. In return, they will receive reward in the form of a product or a service that will be developed with the funds that are committed. The rewards offered on the platform are typically called perks and a company will mostly offer different kind of perks at different contribution levels. These platforms are also ideal as a market research tool. The backers will let you know immediately which perks they like and which ones they do not. The previous models were followed by debt crowdlending, which is basically a peer to peer lending structure supported by the crowdfunding logic. Just like normal debt servicing, a lender will earn interest on the loan and the company has to repay its crowdlending debts as a first priority. A variation of this model exists in developing countries where crowdlending is used as micro finance to support small companies. With social responsible lending in micro finance, no interest or a very small interest amount is paid. Equity crowdfunding is the fourth addition that applies the crowdfunding principle. In this model, many investors come together to jointly invest in the shares or equity of a company or a securitized project. Companies can raise capital and the investors become risk taking shareholders which are paid in dividend or by hopefully selling their shares at a profit after an increase of the value of the company. The key to crowdfunding is building a social network of like-minded investors that are interested in the investments that you can offer and the track record that the platform is able to build. The emerge of social networks and the change in behavior of the use of internet was one of the most important building blocks that made crowdfunding possible. 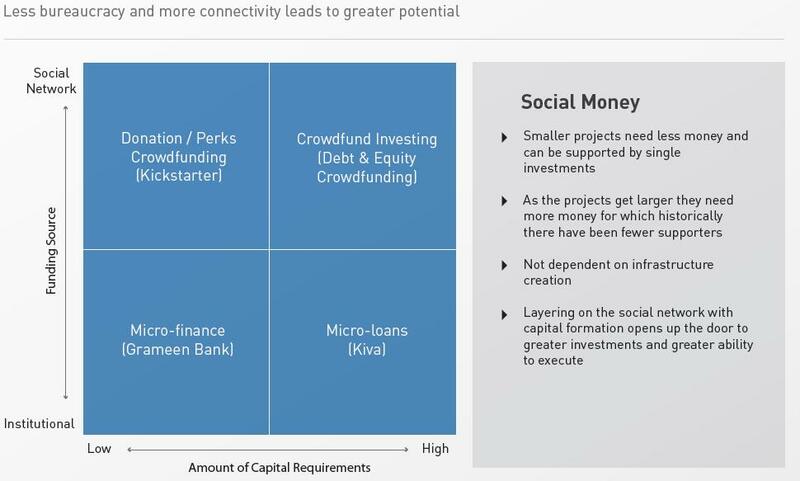 The infographic below from the World Bank shows the classification of crowdfunding and the dependency on social networks. The ambition of every crowdfunding platform is to build a global network as big as possible because its existence depends on crowds coming together and supporting your mission. The market of property development or property ownership for renting is traditionally owned by large corporation or wealthy individuals. Over the years the real estate market has been a lucrative market to invest in but it also entails risks. Opening this market for large groups of small individual investors will really disrupt the market and has the potential to completely transform the way that projects are developed. Property crowdfunding now offers the possibility for many individuals to take ownership of a property or property development as one global community. This offers opportunities for small investors to participate in a buy to let project (debt or equity), participate in a mortgage funding deal (debt) or take an equity stake in the development of a new property. With a relatively small investment, Realty Africa will have a minimum invested amount of USD 1000 in many cases, the investor can already enjoy the potential of the property market with a relative limited risk. This shows that property crowdfunding combines debt and equity crowdfunding in one market. A property crowdfunding platform like Realty Africa will typically offer a diversified portfolio of projects. Projects could be a short term build and sell but also longer projects are offered which include not only the creation of the property but also a period of operational activities. This could be a housing project which is rented out or a tourist establishment which offers paid accommodation. The investors will earn part of this income during the time of their investment. Also the size of the project on the platform can differ from USD 100.000 to several millions of dollars. The success of the project fully depends on the attractiveness and the interest of the investor. This means that the Developer has the obligation to come up with sound, secure and transparent project that is as attractive as possible. Property crowdfunding is not only about securing funding but even more about marketing yourself and building a track record that emits trust. The added value of the property crowdfunding platform is offering a marketplace, a security-based ecosystem, where the real-estate and infrastructure developers in Sub Saharan Africa can meet and transact with the worldwide community of small and large investors as well as institutional investors. The picture below shows this ecosystem as drafted by the World Bank. This picture shows the relation between the community of investors and the entrepreneur (developer of infrastructure and real estate). The crowdfunding infrastructure in between, acts as a marketplace that enables the transactions which take place directly between the developer and the investor. The crowdfunding platform is facilitating the transaction but should also entail trust and transparency of the investment towards the investor. Helping the investor in making an informed decision based on all the information available and creating clarity, a proper risk profile and an investment that offers the investor as much security as possible. According to the World Bank, crowdfunding could become a useful tool in the developing world as well with support from governments and development organizations. This quote shows that property crowdfunding offers many opportunities to the various stakeholders in developing countries like Africa. With the proper support from governments, investors and serious entrepreneurs, crowdfunding could be the quick start that the continent needs for its next phase of economic growth by offering increased liquidity and easy accessible foreign investment. Property crowdfunding offers an alternative funding source for property developers that can only access traditional funding sources with great difficulty and don’t have access to an international investor network. Also the funding source is more risk reward based than traditional bank loans which regionally come at high fees without any flexibility. Property crowdfunding ultimately allows for a more dynamic approach to property development, giving rise to more creativity which can span from hotels and holiday resorts to housing complexes, and smaller projects. Also it offers an opportunity for developers to market themselves to an international audience and build a name of trust and transparency. Access to investments in exciting properties and locations that would otherwise not have been accessible on a continent where property development still has a tremendous amount of upward potential. Brings a trend and a new way of seeking capital for several categories of investment. 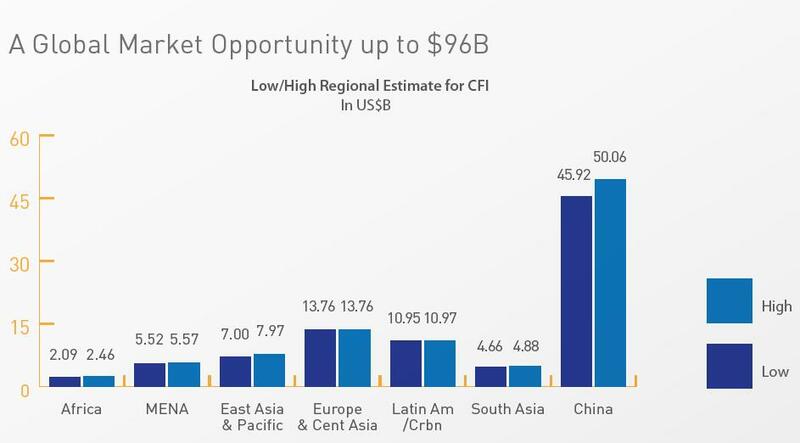 African cross boarder and multi-currency investments which can be used by investors and investment firms and pension funds to diversify their portfolios. 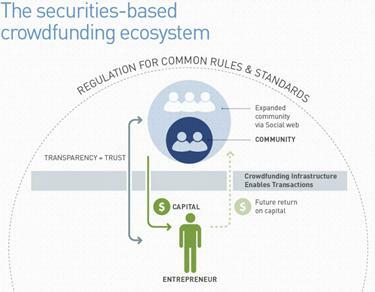 The overview below shows the potential of crowdfunding in the developing world according to the World Bank. Crowdfunding comes with the same challenges as any investment like failure risk of the project, lack of investor sophistication to make informed decisions since investments are not guaranteed, fraud and money laundering. A crowdfunding platform typically deals with accredited and unaccredited investors. This is possible since the minimum investment amount is limited. However this imposes a responsibility on the platform to educate the investor on the risks and the challenges of the investments and to offer the most secure investment as possible. Only if investors are well informed and protected against fraud, the platform can have a successful contribution to the economy of a country. On a positive note and notwithstanding the rapid expansion of crowdfunding platforms, little evidence of any fraud on current standards-based crowdfunding platforms are known. In order to commit fraud and attract investor’s money it is necessary to fool a global community of inquisitive investors which can only be done most likely by creating a fake platform and offer investments in fake projects without anyone finding out. A case study to illustrate the success of crowdfunding can be found in Australia: The Australian Small Scale Offerings Board (ASSOB) was founded in 2007 and is currently the largest investment crowdfunding platform in Australia. It is an equity-crowdfunding platform that has successfully served both accredited and unaccredited investors. It funded over 176 companies by raising more than US$140 million since its inception and not a single case of fraud has been reported. Africa imposes additional challenges to crowdfunding. The general perception on new investments in Africa is not always positive. Also investor protection against fraud is much less clear in many countries. There are stories about scams and the disappearance of investment funds. Also over the past years, examples can be found on banks collapsing under bad loans to local companies. It is very difficult for investors from overseas to perform their own due diligence on projects and to check developer reputations in the local market. Investors are reluctant to transfer funds to a bank account on this vast continent. It is seen as the territory of seasoned investors that know their way around and are experienced in detecting the pitfalls. To make crowdfunding successful, transparency and trust to facilitate informed decisions should be guaranteed without question. The platform also has to provide a way of protecting against the misuse of investment funds and safeguard the investor against fraud and fake projects with a proper due diligence of the highest standard. In case a project fails, the investor should be safeguarded against the disappearance of assets and should be supported in salvaging as much of his/her investment as possible. This is also in the interest of the developer since this unique funding and marketing channel will only be available for a longer period of time in case real investor protection is available.